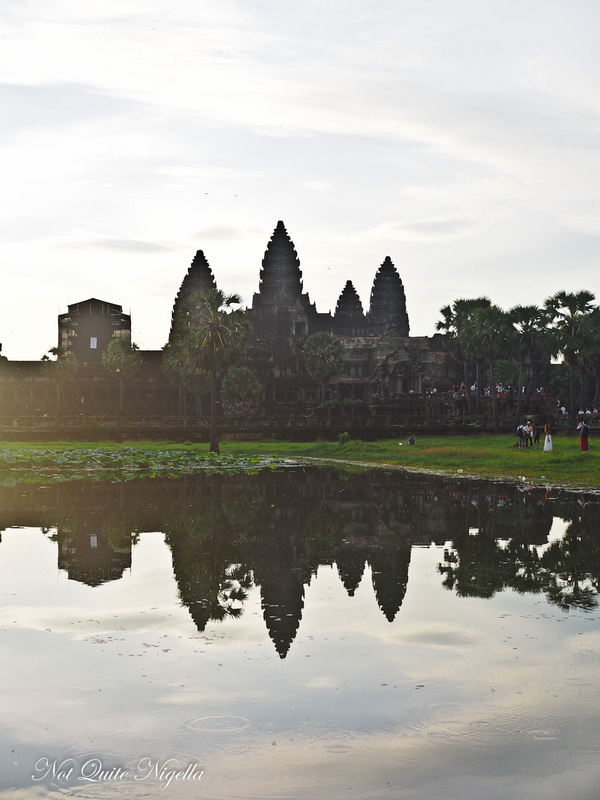 So you've got 3 days in Siem Reap and you want to hit the highlights. What should you do? Where should you eat? Where should you stay? 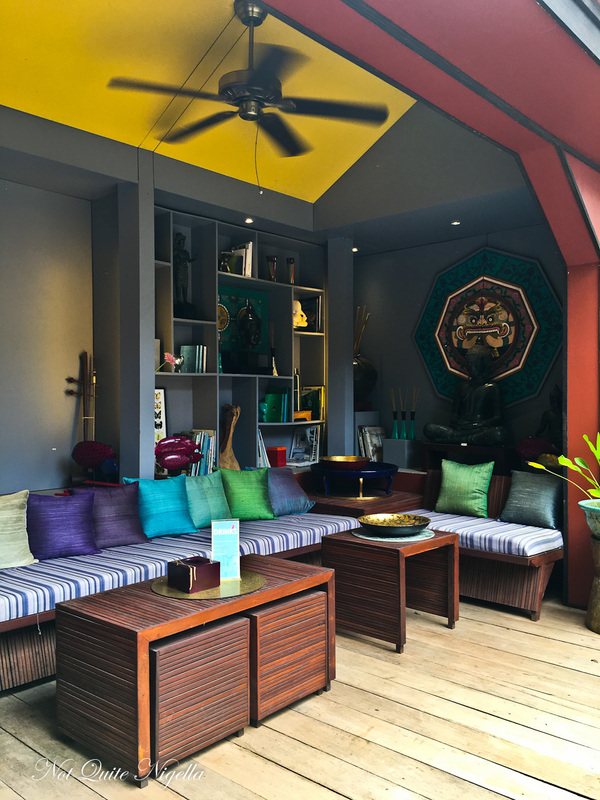 This is a carefully curated guide (created with the invaluable help of my friend Lara Dunston who lives in Siem Reap and writes for Grantourismo) gives you the best suggestions for your stay in Siem Reap! Truthfully you won't be able to do all of these things which is why I actually suggest staying for longer but you can definitely put together a fun and full guide using these suggestions. Cambodia is a fascinating country. Less well known and visited that its bigger neighbours Thailand and Vietnam, it is usually known for two things: the killing fields and temples. But there is so much more to this country and Siem Reap, the third largest city in Cambodia. From overcoming a tragic and recent history it surprises at every turn. You are literally watching a country rebuild itself slowly but surely, the resilience of the population in which estimates say a quarter to a third of the entire population was killed by the Khmer Rouge is inspiring and full of wonderful moments. 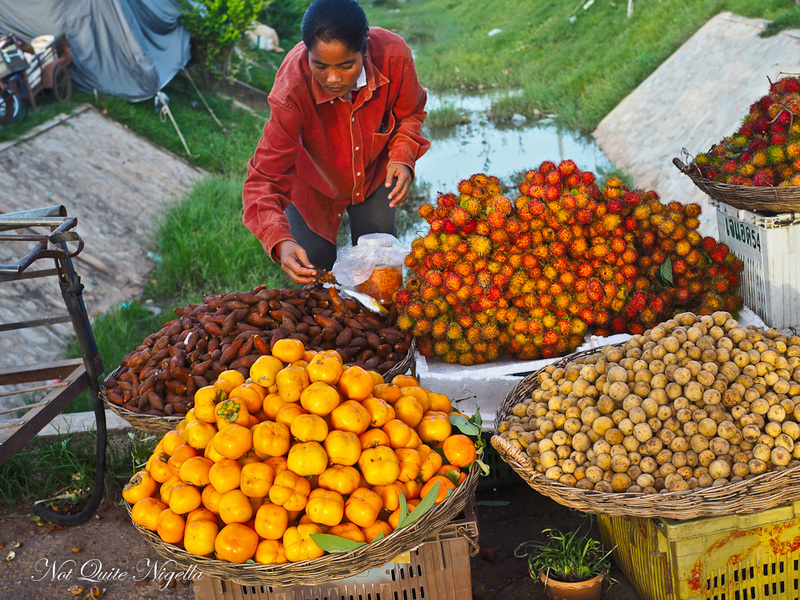 Siem Reap has several markets and which one you visit tends to be based upon how "local" you want the market to be. 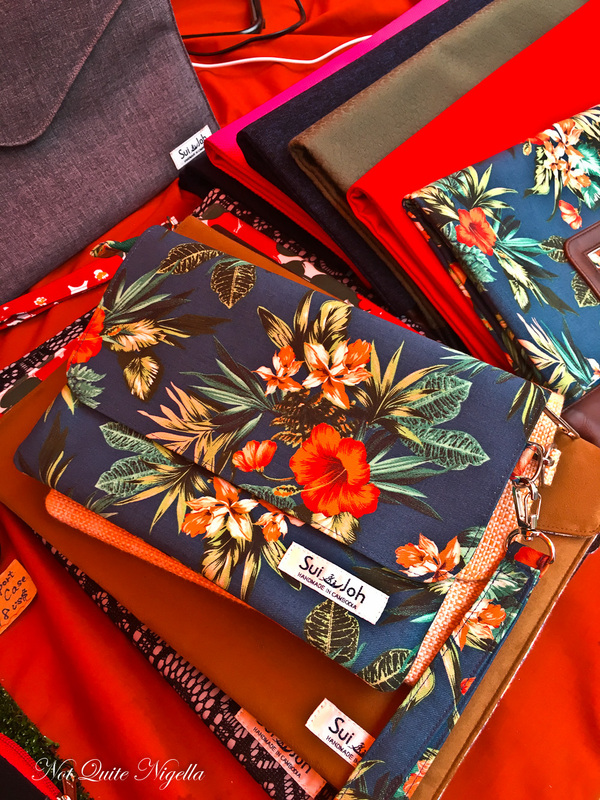 From the really local markets where there are few tourists where you can browse unbothered, to the trinket laden ones, there is a market in Siem Reap for every taste (including one that does a fabulously good num pang, the Cambodian version of a banh mi). Food markets can be confronting for anyone that doesn't like seeing where their meat comes from. 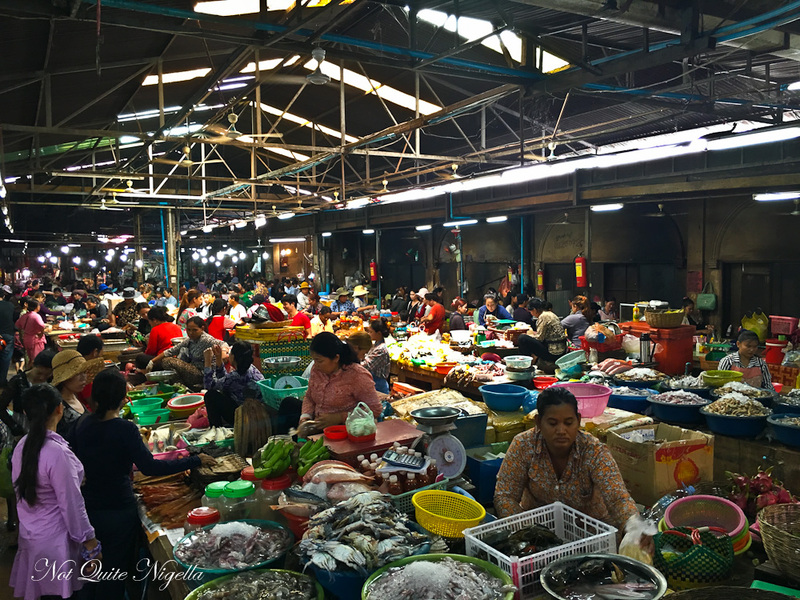 The most easily accessible market is Old Market or Phsar Cha in downtown Siem Reap and is perhaps the best market if you are slightly squeamish. This is a market for the wealthier Cambodians to shop and there is a centre section with fresh produce. There is also an area for ready to food like noodle soups and snacks that change throughout the day. 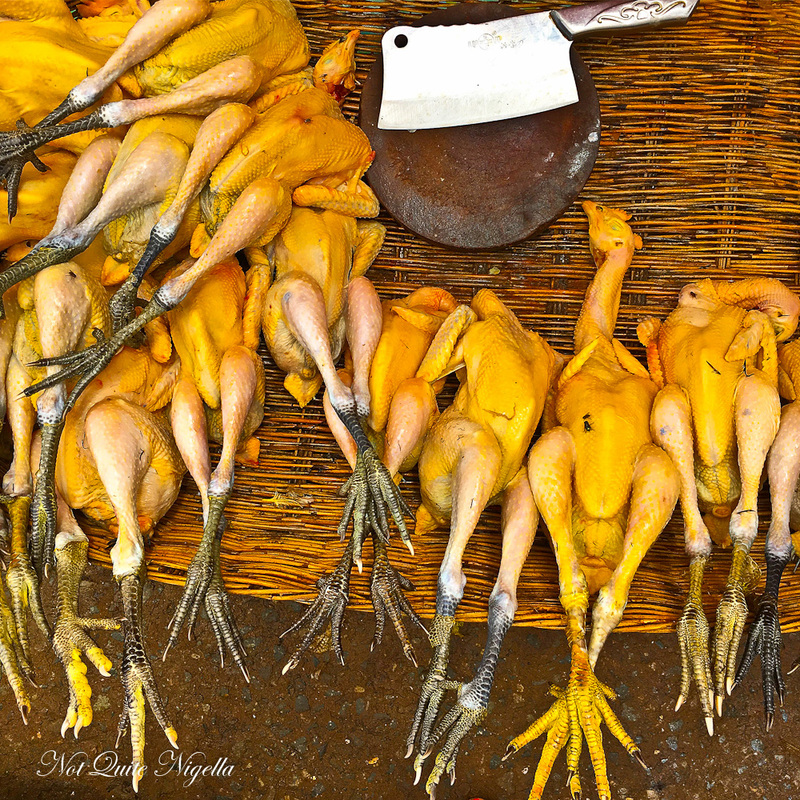 There are things like skinned frogs and things like that on display but there is a surprising lack of aroma to this market. Cambodian art and homewares are lovely and distinct from what you may buy in other countries. Made in Cambodia Markets on Kings Rd are on every night and vendors do not have to pay a commission to sell at this market so the proceeds go to the creators themselves at a fair price. I picked up some beautiful scarves, bags and a lovely tactile wooden bowl. It is slightly pricier but these are generally artisans that produce things that you won't find at other markets. The Foreign Correspondent's Club (FCC) has a few good shops mostly for the serious art collector. Angkor Artisans offers people the chance to tour through workshops and watch artisans create beautiful soapstone or wood sculptures some taking up to a week to create. The fair trade project was designed to give artists the opportunity to hone their craft and in some cases learn them while living in their village. 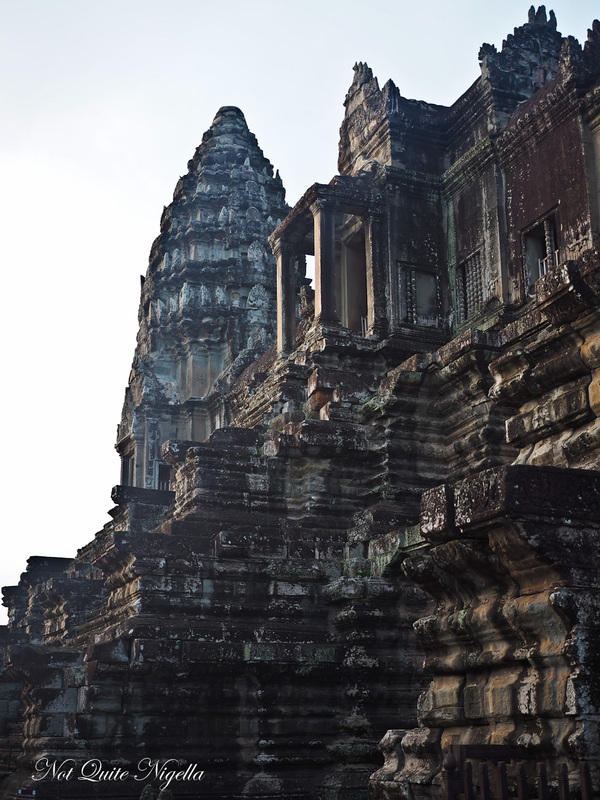 There are no shortage of temples in Siem Reap and it is one of the major draws for tourists. If you are a temple trekker you will be in heaven. We visited three temples during our stay: Angkor Wat, Bayon and Ta Prohm. Angkor Wat is best accessed at sunrise so pick up is at 4:45am (and aim to return around midday for lunch and a rest, temple trekking is more tiring than one might think). Many of the hotels are accustomed to guests leaving early to visit temples and provide food and or takeaway breakfasts. The Shinta Mani Club gives a generously portioned 5 stack tiffin for guests provided you order it the day before. To access the temples you will need to buy a 1, 3 or 7 day temple pass (the lines for the 1 day passes are the longest) so leave some time for the queues. The most popular position is across the lake to get the sunrise in the background. But just know that you will actually share this moment with thousands of people. A little tip though: if you want a few minutes of Angkor Wat to yourself, the temple opens at 5:45am and from 5:50pm is when people start to file in. This literally gives you five minutes to have some quiet, contemplative time to yourself before everyone comes in. 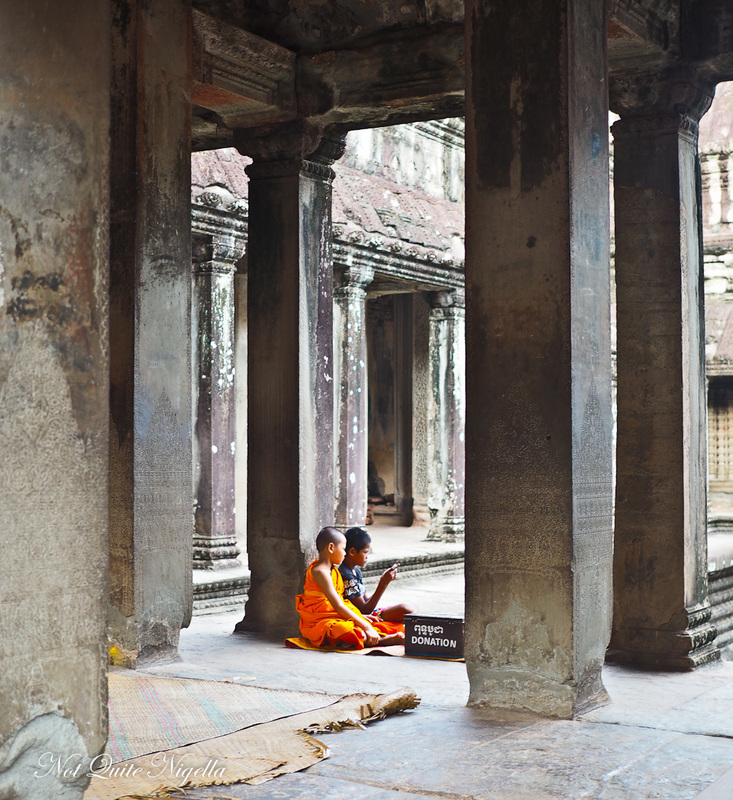 There is also a dress code at Angkor Wat because you are entering a place of worship. Women must have their shoulders covered as well as clothing past their knee (although on the day about 50% of tourists ignored this and we saw bra tops and Daisy Dukes). They have however been known to refuse entry to those that don't adhere to this. Can you believe that I waited til this long in the story to mention food? 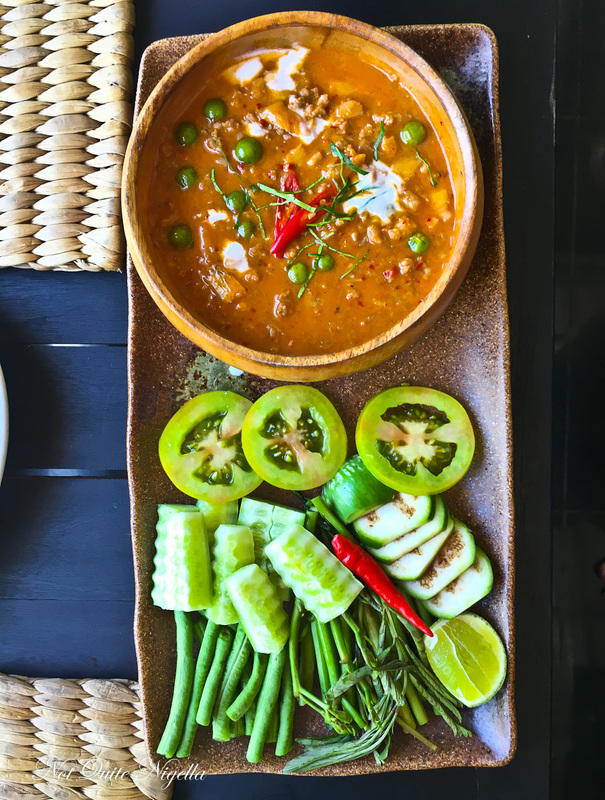 Silly me because the food in Cambodia is really, really good and chances are, unless you've visited already, you may not have tried much of it before as it has stayed in the shadow of Thai and Vietnamese cuisine. 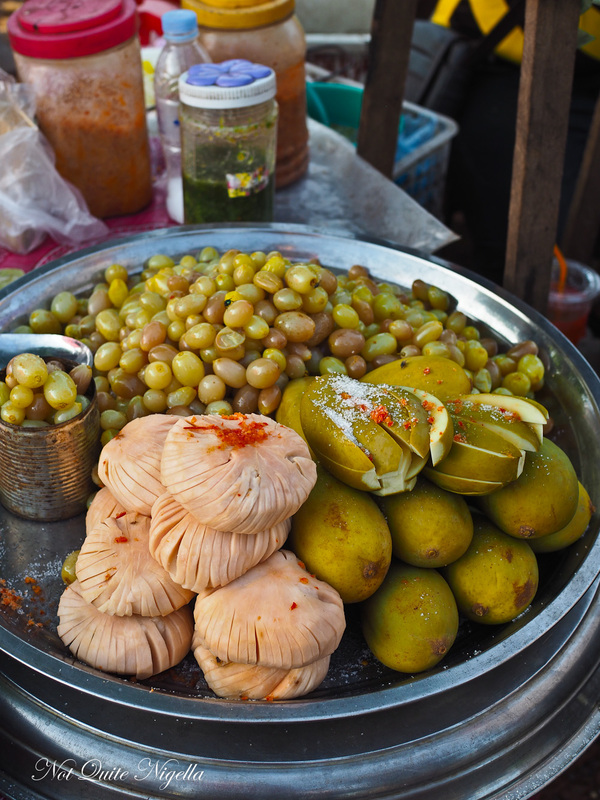 One thing though, you need to be careful with street food in Siem Reap. 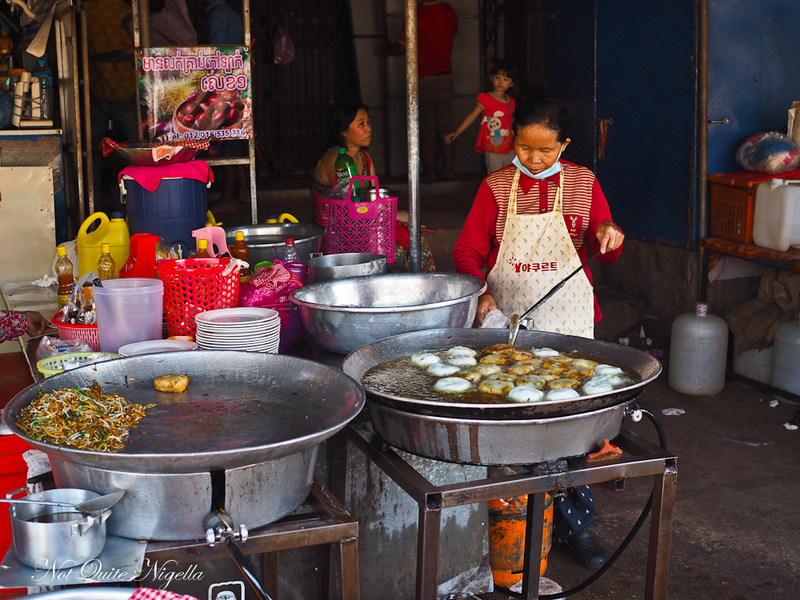 Street food isn't quite as safe as it is in Thailand and people should exercise more caution here than you would in other countries. Food poisoning is not only confined to street food but please don't eat it freely as you would elsewhere. One of the best ways to try it is on a tour. 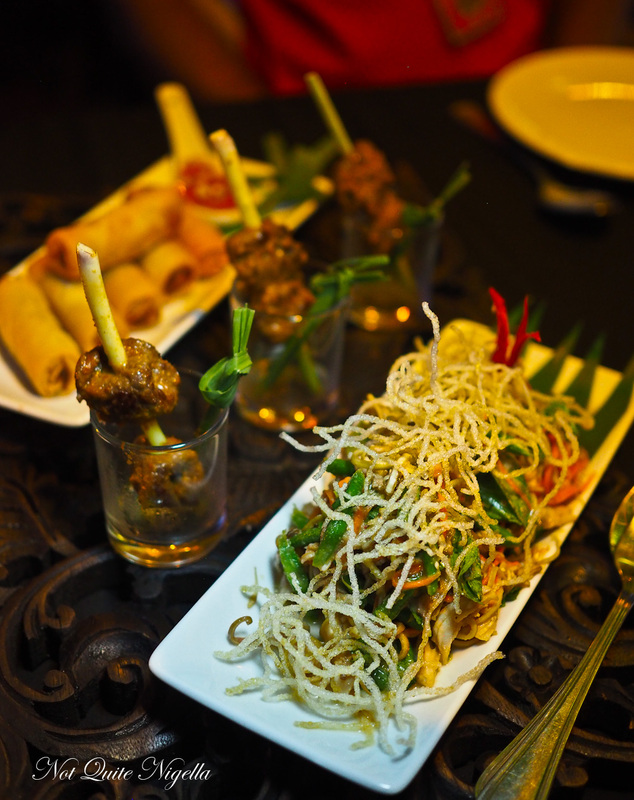 River Garden's tours are held daily and are Cambodian chef-led tours where they take you to hand picked stands. For $25USD per person they pick you up and drop you off at your hotel. We started off our tour with Chef Saroun at Phsar Leu market where we bought Nom Ken Cha deep fried rice flour cakes with shallots that come with a chilli sauce and a home made fish sauce. When I was curious about the hanging beef balls at a stall she also bought some of these to snack on. The tour then progressed to 60 Road, a very popular local street food and shopping market with a fun park attached to it (it's near where you buy your temple ticket). Come 7pm this will be very busy with families eating picnics (a night-time venture as the days are too hot to sit outside). We pick up several items including tarantula spiders, larvae and water beetles as well as fruit and dessert. You can spend a lot of time eating at Pub Road or around that area. We didn't actually really love any of the cafes or restaurants there but they're there if you want a Western fix. There are some wonderful restaurants that are safe to eat at where you can eat with the locals. Back at 60 Road there are a range of sit down restaurants with a range of Cambodian BBQ restaurants where you can sit down and cook your own. I was perplexed at first as families looked like they were cooking hot pots. 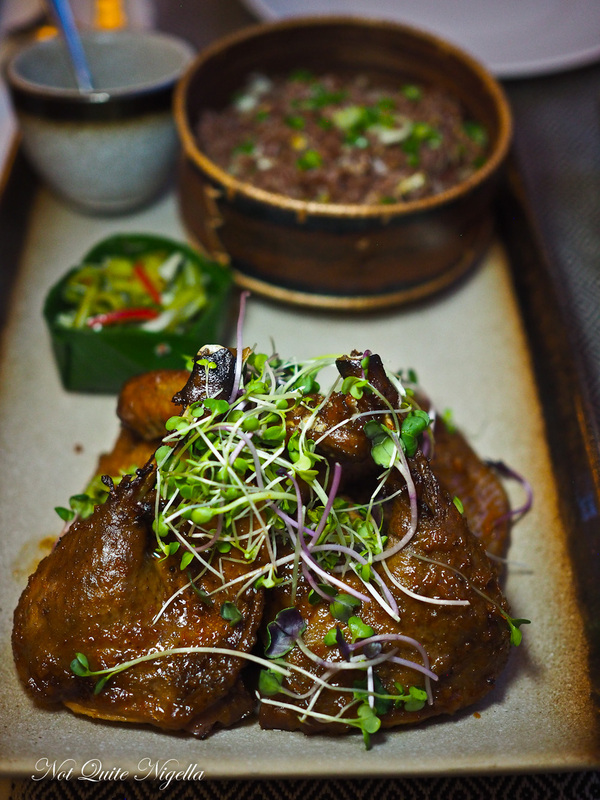 Cambodian BBQ is a fascinating and clever take on barbecue. Everything is cooked on a gas cooker with a dome in the centre. Lard and butter are provided as is a soup. The soup is poured around the dome and the vegetables cook in this while you spread some butter on the dome and the meat is cooked on this so you get the barbecued meat and seafood plus nicely cooked vegetables. A serving that can feed 4 will set you back $13USD and we tried Ming Ming's Seafood. Closer in town Restaurant Chan Ras II on Sivatha Road is a place that serves incredibly tasty food. The lovely Lara took us there and she explained that it is the same sort of food as the fine dining restaurants but the versions here might be slightly different. The curry may have more liquid in it because they need to stretch it further etc. Cambodians also tend to eat a lot of rice and smaller serves of protein. We tried the Prahok k'Tis (a delicious pork and prahok dip with vegetables), soft braised eggplant with pork, morning glory with pork, a chicken and vegetable curry and a Chinese pork sausage. Everything was delicious with robust flavours and the total bill was $15USD. Oh and you can BYO too! Another great find with Lara was new restaurant Chong Phov Khmer which was probably my favourite meal in Siem Reap. Open for only a few months it is something of a secret. If you want to dine with local Cambodians but in a upmarket but casual atmosphere ex Malis chef Eng Im cooks some divine dishes that have people coming back day after day. There's the Sour Beef soup with Curry Spice and Morning Glory - don't let the word sour put you off it's one of the most perfectly balanced soups you'll ever eat. Cambodia is a country rebuilding itself and on the ground there are many NGO (non-governmental organisations) that are designed to support social enterprises and teach people new skills in hospitality. This is not what you would call "pity tourism" - indeed dining at some of these NGO cafes and restaurants will give you one of the best meals, drinks, cakes you could have. New Leaf Eatery on Street 09 has a fabulous atmosphere that just draws you in. The menu is made up of a mix of Cambodian dishes and Western dishes (about 30%/70%) and 80% of the profits go to the various charities. The staff are sweet and helpful and we absolutely adored the green mango salad and the fish amok 2 ways. The mains even come with a complimentary beer, limeade or ginger ale. One of the tastiest places to try real Khmer food is at Marum, an NGO and training centre for disadvantaged youth. Staff wear t-shirts that denote them as a teacher or a student. The staff are genuinely friendly and the food is absolutely delicious. 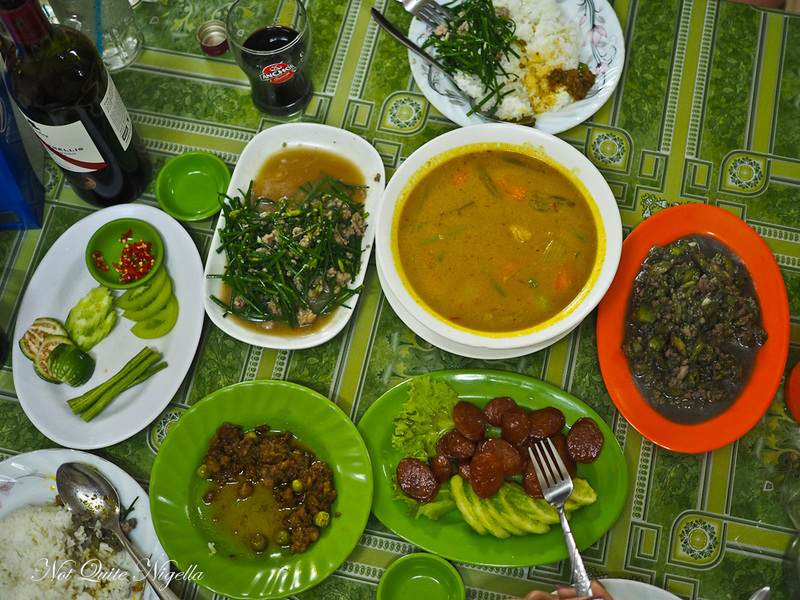 I'd put this down as one of my favourite meals in Siem Reap. 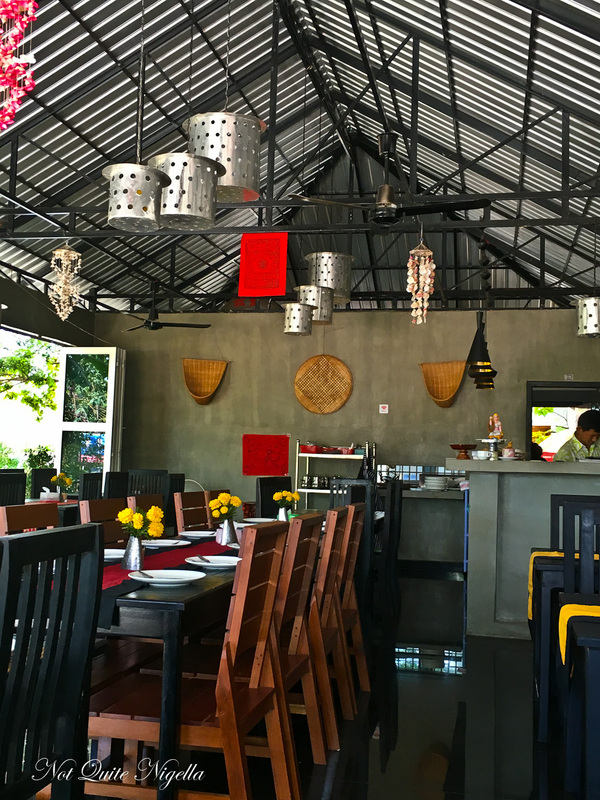 Many restaurants in Siem Reap have menus that do Cambodian dishes as well Western dishes but there isn't a proliferation of great fusion restaurants. However Mie Cafe is one of those that do fusion well. 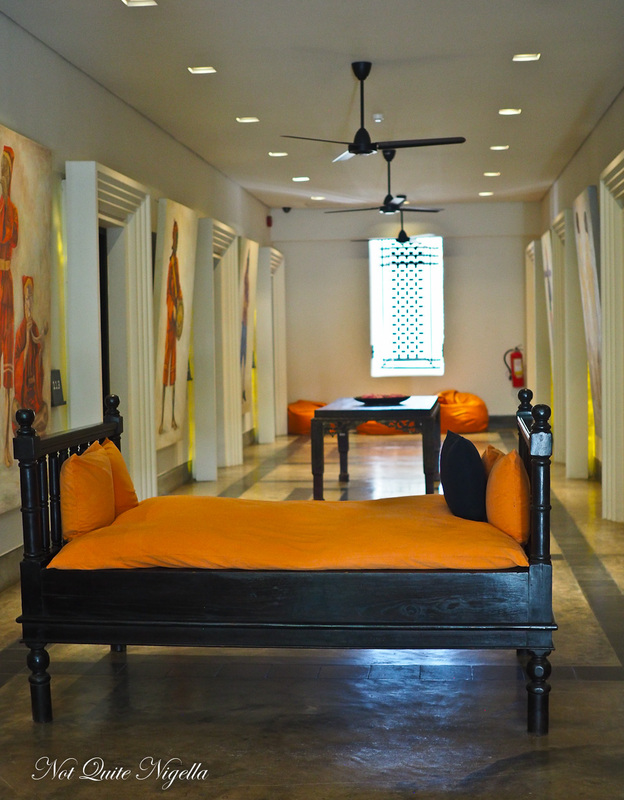 It is housed in a lovely colonial style house lush with greenery and frogs. It is an open air restaurant and staff will point fans in your direction when you sit down to cool you off and ward off mosquitoes. And for vegans there is also a vegan menu. Siem Reap has some truly spectacular restaurants but alas the top restaurant Cuisine Wat Damnak was closed for two months at the time of our visit. 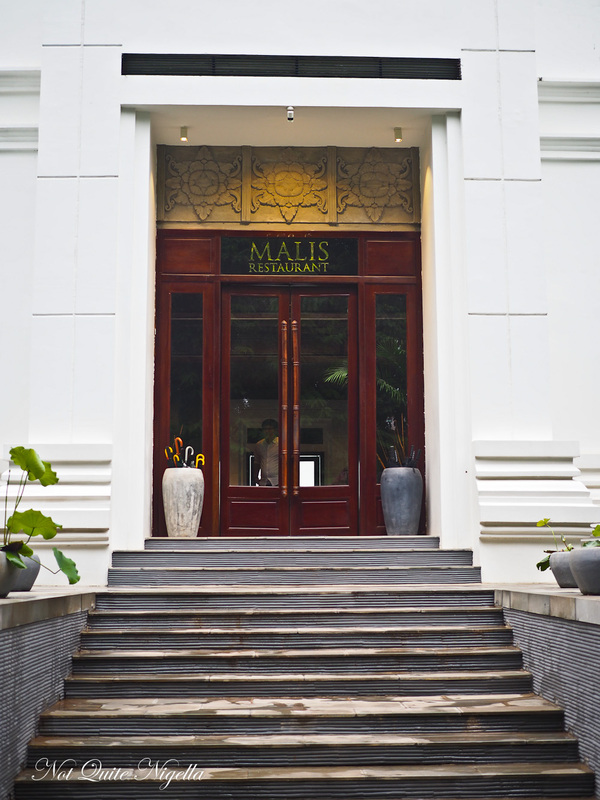 We had a fine dining experience at Malis, one of the most visually stunning restaurants. The service is gentle and deferential and you are led through the bar (6pm is happy hour where drinks are two for the price of one). Chef Luu Meng is Cambodia's biggest celebrity chef and he travels the whole region of Indochina and creates "Living Cambodian Cuisine" which means the Cambodian cuisine of today. 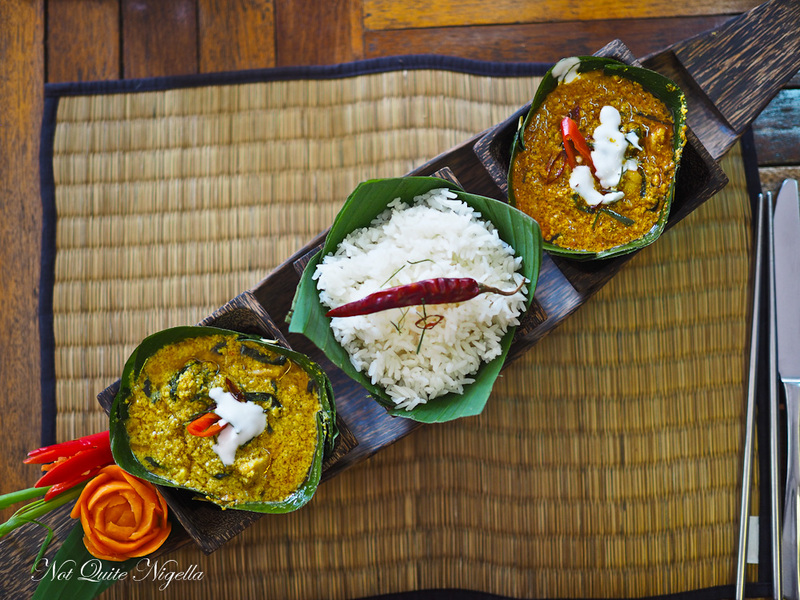 This is not fusion cuisine but an elegant, fine dining Cambodian cuisine. Dinner is probably as pricey as it gets in Siem Reap and will cost around $100USD for two not including drinks. We ordered dishes like Royal mak mee noodles which are mixed at the table and feature pork marinated in Kroeung, a traditional curry paste curry paste including lemongrass, chilli, turmeric, garlic, shallots and ginger. We also had Hidden Chreav duck with black pepper sauce and red prawn rice, Fish Amok made with goby fish steamed in a banana leaf basket. The Bang Kang river lobster is more like a yabby and is marinated in a prahok and chilli paste, wrapped in foil and grilled until golden. Visit cocktail bar Miss Wong's here while you still can because in three years time when the lease is up, owner Dean Williams wants to pack up and move to a different part of Siem Reap. 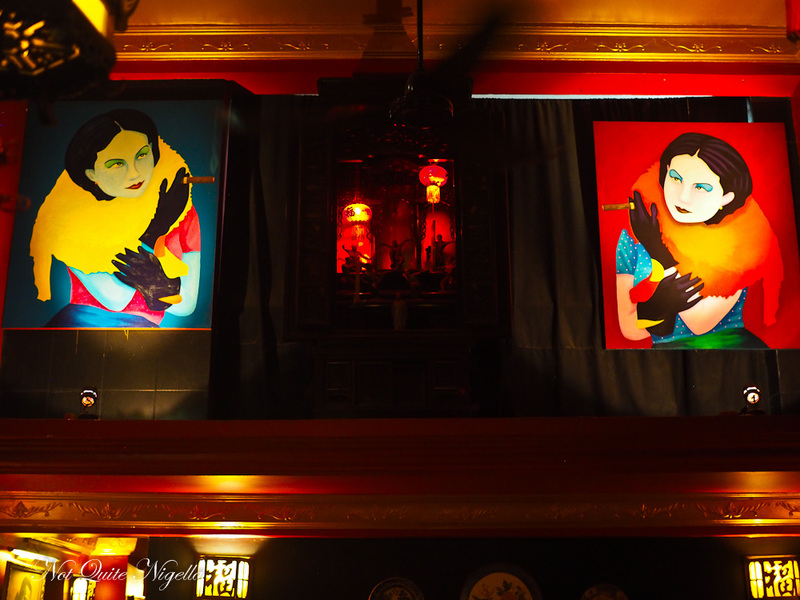 Dean started the retro chic bar eight years ago on a dingy little street dubbed "The Lane" but now because of Pub Street parallel to it and passing time, it has now become a much busier street. Miss Wong has an enormous cocktail list of their own concoctions. 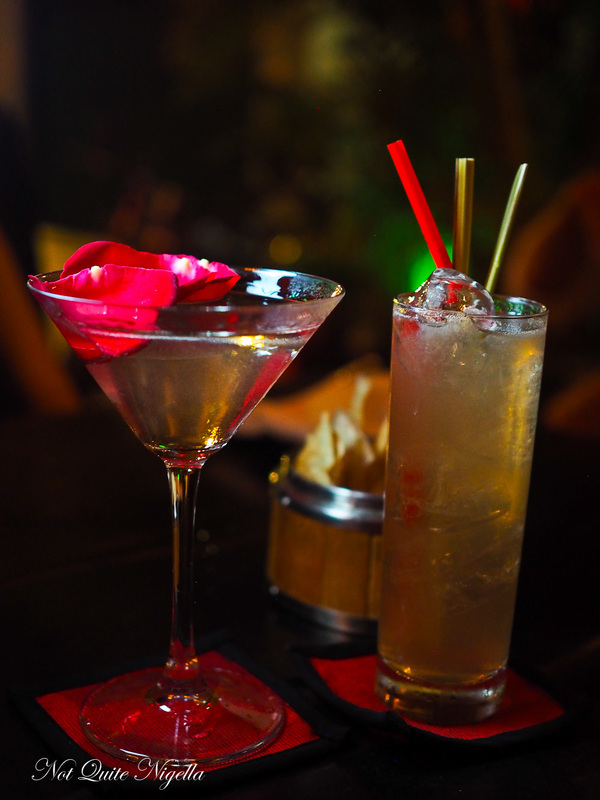 For something pretty, try the rose and lemongrass martini served with rose petals but for some gutsy infusions, try the tom yum martini. Infusing spirits became something of a trademark when Dean wasn't able to access a lot of spirits and now it has grown into something of a signature. Oscar winning actress Marissa Tomei was said to be a big fan of the bar on her visit. A little further down "The Lane" is Asana, a gorgeous relaxed two storey cocktail bar. You'll know it as soon as you see it as it also known as the "Old Wooden House". Run by Pari Ung she holds Cambodian cocktail making classes or you can simply visit for a cocktail. The house is a charming touch in the middle of Pub Street for an evening cocktail. 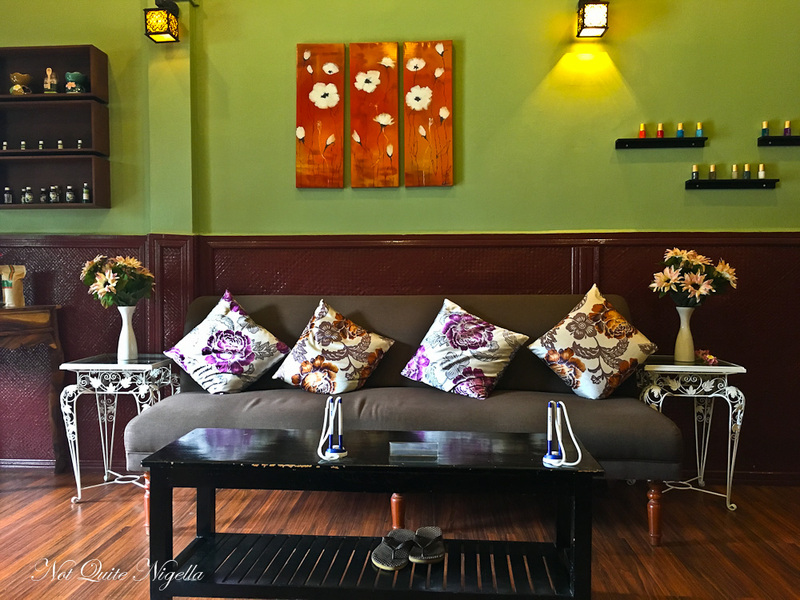 Siem Reap is replete with massage and spa places from the humble spa where a 1 hour foot massage will set you back $3USD up to spas that are luxurious. We had a good experience at Lemongrass spa (and there are several locations) and we had a not great experience at Bodia spa which is said to be one of the best in town. Perhaps it was the therapists we were assigned but it was a strange and awkward experience for us where we were left underwhelmed (and they forgot to pick us up from the hotel). There are a few operators but we went with Beyond Unique Escapes located in Kandal Village because they were strongly recommended to us and we were not disappointed at all. Beyond's tours are very well thought out and the tours are all led by native Cambodians and they follow the edict of responsible tourism. They have well priced tours and are also able to do custom tours easily to fit your interests. Our interest is food as well as special projects. We did two tours with them. A worthwhile half day trip is Beyond Unique Escape's Tonle Sap tour. Ask for guide Lim if he is available as he is an excellent guide who speaks excellent English and he's a foodie too - a private tour is best for this. Early is ideal for tours and many Cambodians start early and have a rest in the afternoon when the sun is the strongest. We start our tour at 7am and the first stop is at a street stall that makes bamboo sticky rice. 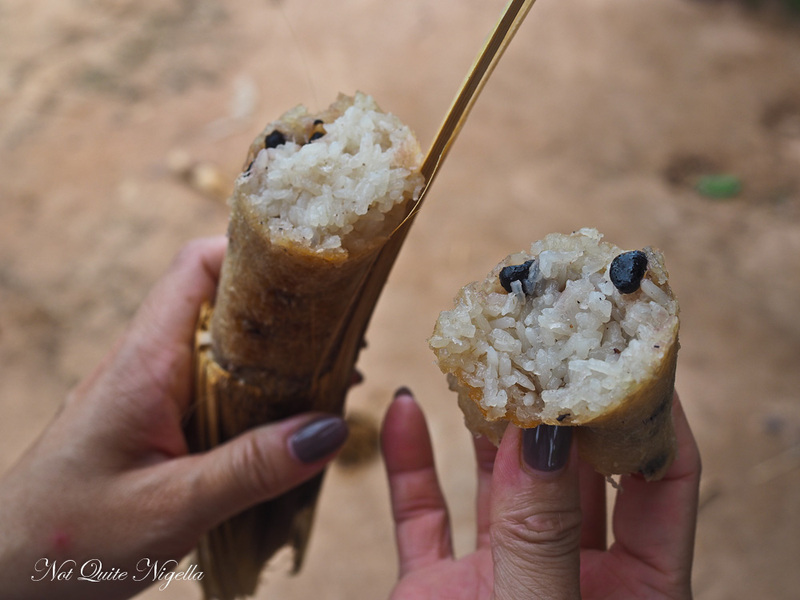 The sticky rice is mixed with coconut milk, coconut flesh, salt, sugar and black beans and sealed with hay and banana leaves. It is then cooked for 1.5 hours. The seller that he stops at makes around 200 pieces a day and they will get $10-$15USD for that - that's considered a good day of business. Our next stop is Th'nal Chek market, a very local market where he shows us the national condiment Prahok made from dried, fermented fish. 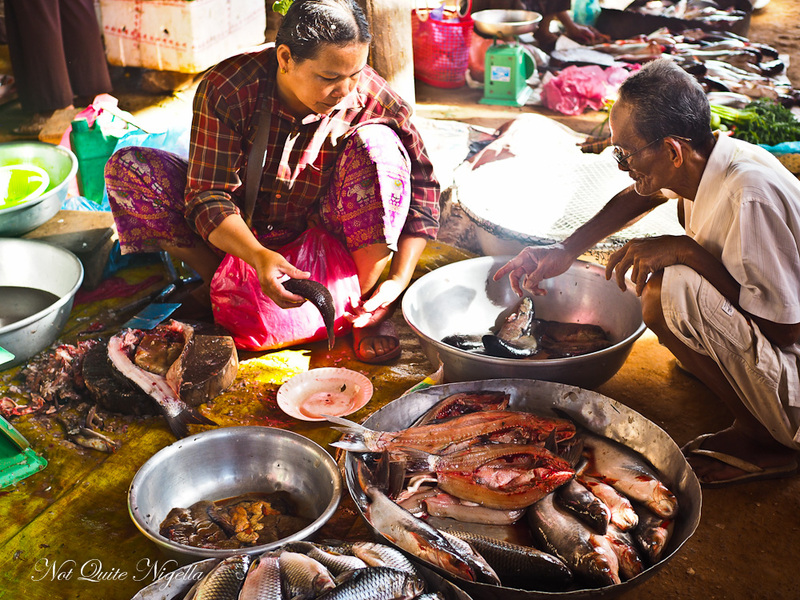 He tells us that the best prahok is made using snakehead fish. 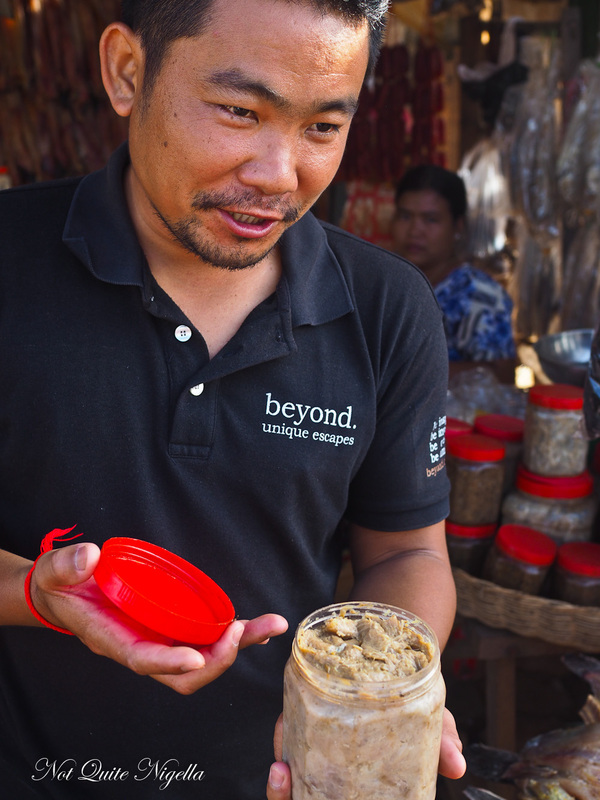 This is sold in jars by itself or mixed with Kreung, a fragrant spice paste made with lemongrass, galangal, ginger, shallot, kaffir lime leaf and zest, chilli and lemon ants. These are small red ants that taste like lime or lemon and each jar contains a couple of thousand ants. Each of these jars can last for 1-2 years and for the poorest people in Cambodia (whose household income is around $80USD a month) a meal often consists of this and rice. We watch as people order noodle soup and vendors break off water lily stems and slice up the bitter sugar palm fruit. One sells a tangle of "floating heart" plant that resembles a herb. This is a plant that grows wild in the water. We stop by and try chopstick cake, a chewy delicious rice flour stick flavoured with spring onion as well as a Num Krouch, a round dumpling named after its orange shape. It has a rice flour outer and a sweet bean filling and is topped with sesame seeds. This too is hot but delicious. Only the most steely hearts will not fall for Phare Circus, one of the most interesting circuses featuring some very talented young Cambodians. Most of us in Western society take for granted the idea that we can choose our careers and take the option of being an artist should we have talents that lie in that field. 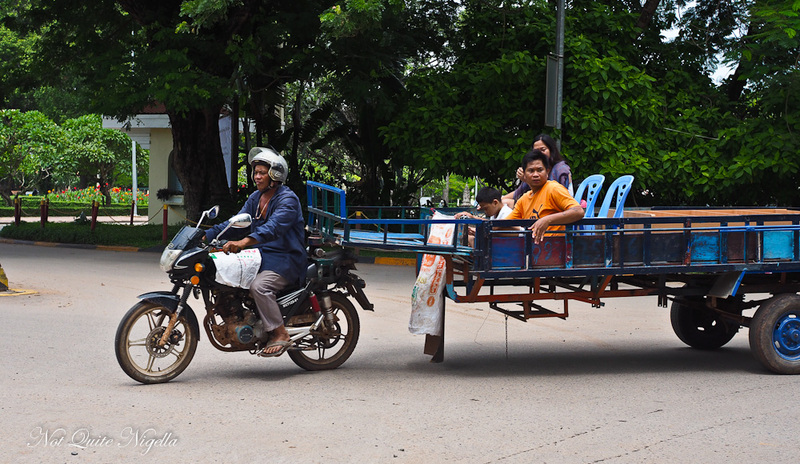 For young impoverished Cambodians, this is something out of reach for them as they are often conscripted to work from a young age by the family needing money. Originally started by 8 young artists after the Khmer Rouge regime, each show tells the story of issues facing the modern Cambodian and weaves politics and personal issues beautifully. The show itself is very impressive and it shows what can be achieved as the idea started with nothing. Before the hour long show you can also eat at Phare Cafe, a concession outside the Big Top where chef Sreyleak Proeum (who is married to guide Lim) makes wonderful Khmer cuisine. 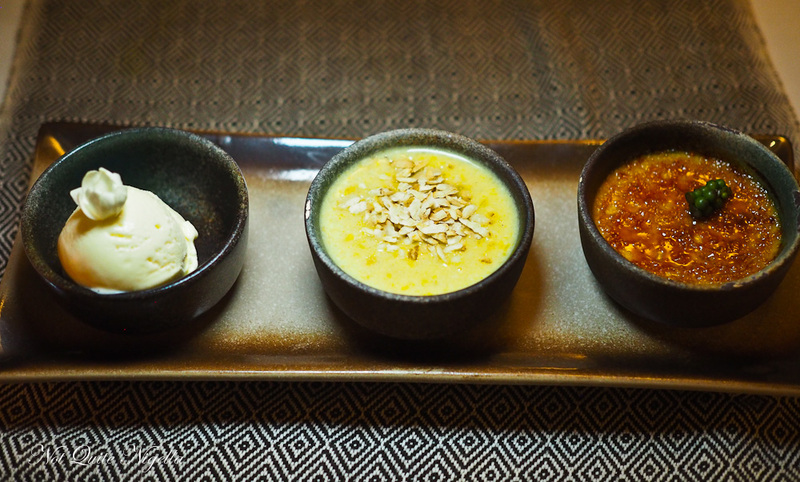 The $12USD set menu features banana blossom salad, crunchy spring rolls and tender beef skewers with a main of lemongrass beef or fish amok and dessert of a divinely silky duck egg custard with bananas. 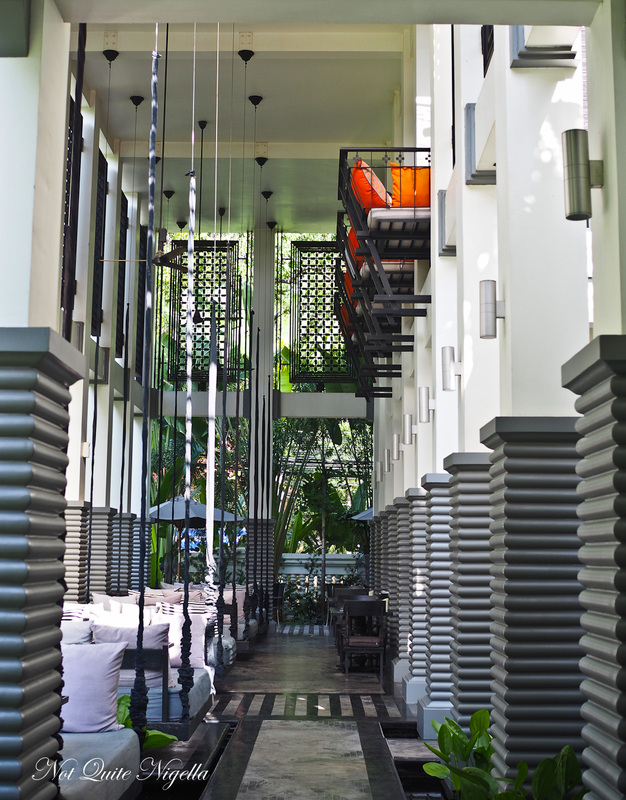 While I can give you a list of the various restaurants and cafes we ate at, we only tried out one accommodation while in Siem Reap called Shinta Mani Club because this was meant to be a personal holiday where I wasn't going to blog a thing and we didn't want to move hotels if we didn't have to. Shinta Mani Club is glamorous but underlying the glamour beats the collective heart of the staff who genuinely want you to have a wonderful stay. The French Quarter location is very convenient-it is a few minutes walk away from the Old Market as well as Pub Street and Kandal Village and cafes, coffee, laundromats and spas are plentiful. We had a superior room which is the entry level room and whilst I would normally go for something a level up, we were very happy with it. The Kroya restaurant serves breakfast, lunch and dinner as well as room service (the latter is excellent and reasonably priced if you're too tired from temple trekking). 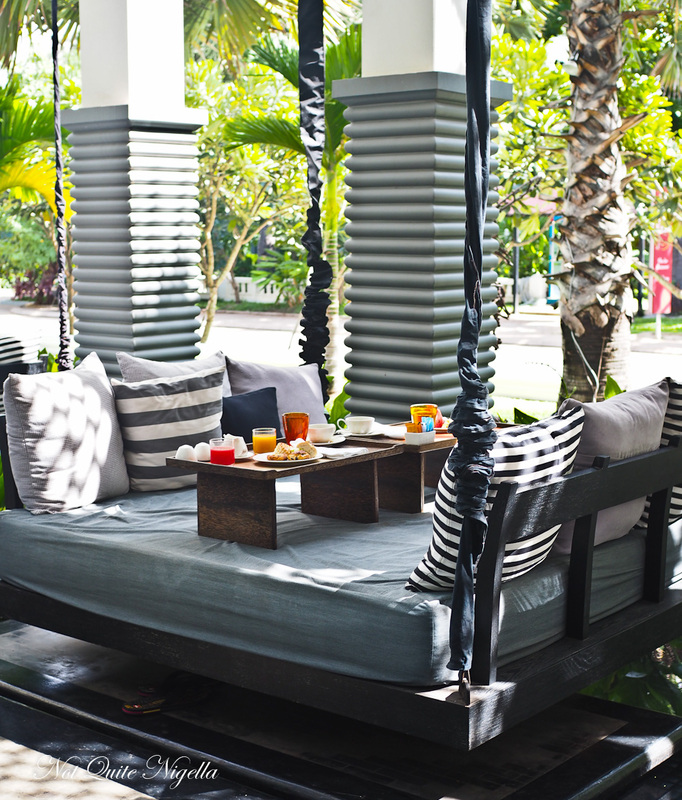 Breakfast every day was a highlight so make sure that you book a stay with a breakfast package. While you're there you've got to try one of the swing tables. They're fun although Mr NQN did manage to spill a lot of coffee moving around in one during breakfast. The saltwater pool is also nice change from a chlorine pool. And there are few hotels in the world that greet you with a cold towel whenever you return to the hotel. 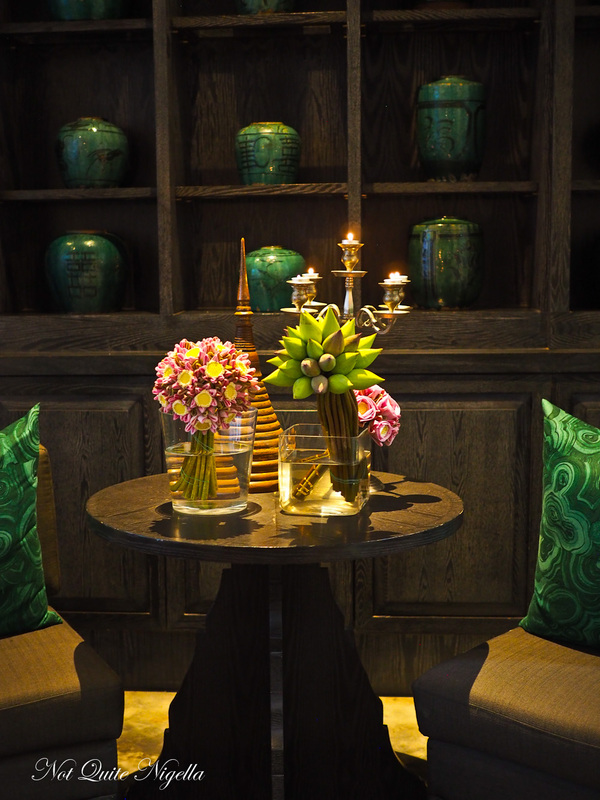 Guests also receive a complimentary mobile phone to use during their stay to call restaurants or tuk tuk drivers. Order USD in small denominations ahead of time. Pretty much most places sell in USD over Cambodian Riels or KHR (except market stalls outside the Old Market) and some offer both. Because things are inexpensive you will probably need a lot of $1USD bills. I used FX4You and got a better exchange rate than at the bank (there was a special on USD at the time) and picked it up three days later from my post office. Credit cards are accepted at many restaurants. Be careful using ATMs as card skimming does take place. Use ATMs that are attached to banks and are located inside banks with security guards. Things to pack: insect repellent (tropical strength), stop itch cream (in case of bites). Also pack light clothing that covers legs below the knees, shoulders and cleavage if you are a woman visiting temples. Passport photo (see visa note below). High season is November to March but travelling now in low season during the rainy season is fantastic, provided you don't mind an hour or two in the rain. This can be a challenge if you're on a tight schedule and want to see a lot of temples but the lack of queues is a wonderful thing indeed. The pool at the hotel was empty and things are generally much more pleasant with less crowds as Siem Reap is such a popular destination. You need to get a visa when you land. These are available before you progress through immigration. Bring a passport sized photograph for your visa but if you don't then you'll be charged an extra couple of dollars per person. I found conflicting information about visa prices but we paid $63 for our 2 visas. The queue can be long so if you're in a hurry exit the plane quickly to get in front of the queues. Make sure you don't get in the queue that says passport pick up. They will take one of the three forms that you fill in (and amusingly the three forms all seem to ask the same sort of questions) and then will stick the visa to your passport and you pick it up a few minutes later and then you can go through immigration and customs. You can get a SIM Card as soon as you exit the airport. The stand is outside, on your right as you exit and it is $6USD for an enormous 6GB (which would cost you around $100AUD in Australia!!). You will need to show them your passport. Tuk tuks are the easiest way of getting around and I loved travelling in them. We had two tuk tuk drivers that we would book each day and their price depended on the distance and hours required. The most we paid was $20USD for a whole day that included a drive out to the temples. Bring sunglasses though as the dirt roads are dusty and tuk tuks are open vehicles. 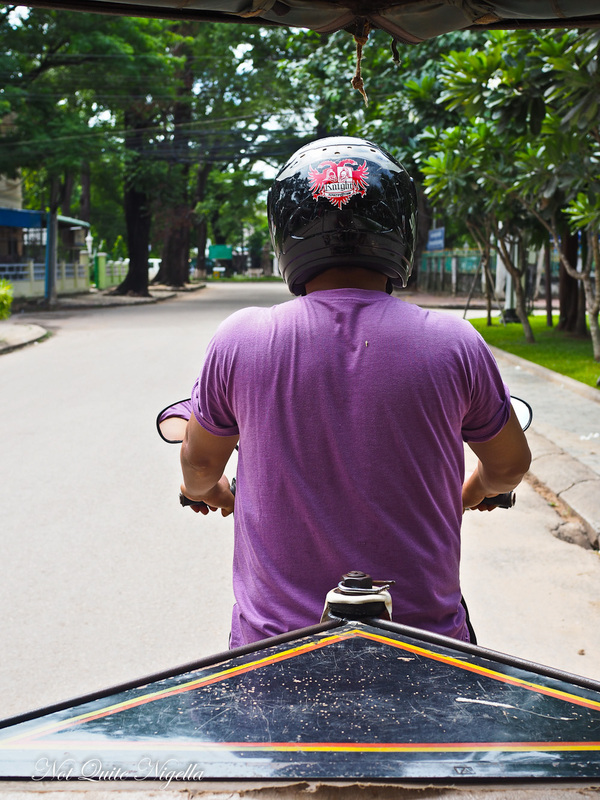 Also keep your bag away from the outside of the tuk tuk where it can be pinched by thieves - motorbikes can make a fast getaway. We found that the level of English spoken is pretty good, much better than what you might find in neighbouring countries. Just slow down and speak clearly and you will be much easier understood. French is also quite common. Forget the high heels. Many of the streets are dirt roads with pot holes. I brought heels (for Bangkok as we were headed there next) and lived in flats or thongs. Pack a really nice pair of sandals if you are going to a nice restaurants. Even the paved sidewalks are hazards with buckled pavers so watch where you walk. Food and alcohol are generally quite inexpensive. Cocktails range from $1.50USD-$5USD unless you're going to the Park Hyatt or Raffles where they are commensurate with Western prices. Alas I wasn't actually a big fan of local beef while in Cambodia. I found it to be quite dry and chewy across a lot of restaurants except the ones where they import the beef. 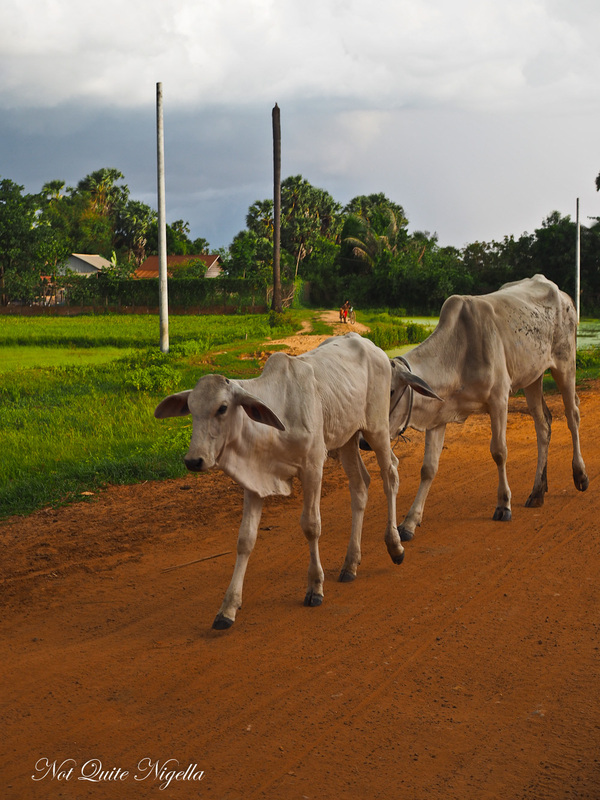 If you go to Phare or the countryside you'll see their beef cattle that look entirely different from the breeds that we have. Ice can be a source of food poisoning. Avoid drinks or foods made with chipped ice (shards of ice chipped from a block as opposed to ice cubes). It is unfortunately not uncommon to get a bit of an upset tummy and street food isn't as safe as it is in Thailand or Vietnam. Eat small bites of things to balance the risk. 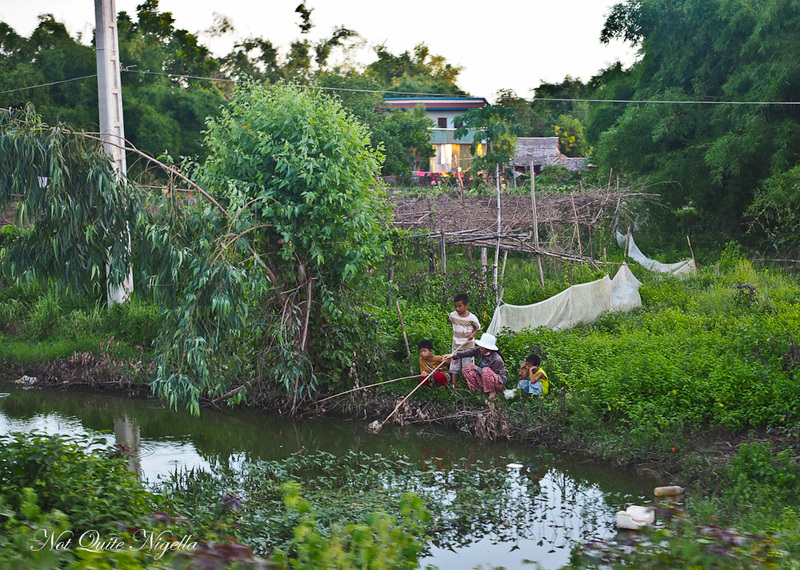 Cambodia does experience blackouts of electricity for sometimes up to a few days. You will probably not be affected by this if you're staying at a hotel. Upmarket hotels tend to have their own generators. Mosquitoes are a relentless pest, especially around the rainy season. You may be able to get away with a milder insect repellent but for some reason the mosquitoes here bit me more than usual so I had to use a super strong repellent called "Wild things". I didn't realise when I bought at a large chemist near the Old Market that it was 95% DEET, a very strong pesticide. But the stuff really works and when I put it on I didn't get bitten. But yeah DEET is pretty heavy duty stuff so make sure to scrub it off at night! So Dear Reader, I must apologise for the enormous blog post but I couldn't not blog Siem Reap as I loved it so much. Have you ever visited there? Do you have a favourite Asian destination? 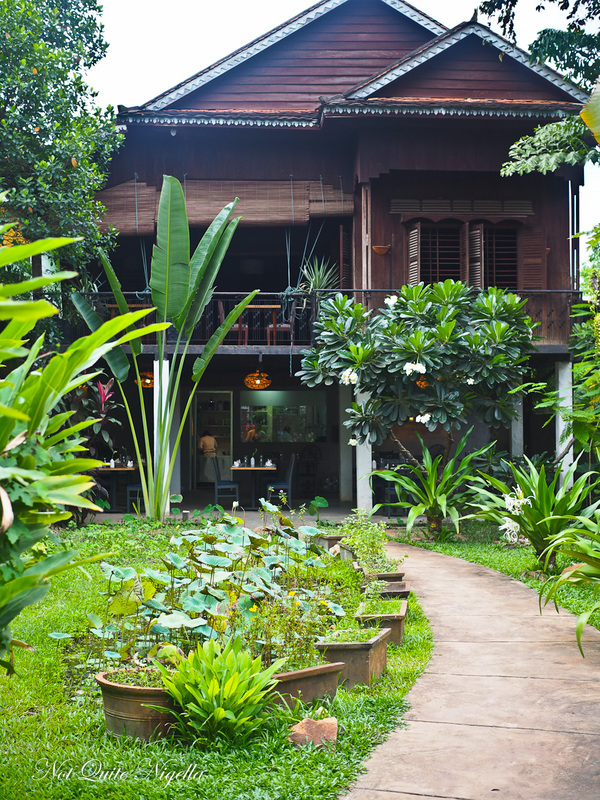 Does Siem Reap appeal to you? Every one of these activities and meals were independently paid for. Phare Circus kindly tried to host us but we donated back the fees. If you are interested in touring Siem Reap Lara and Terence are holding two tours in October this year. There is a 10-night Cambodia Travel and Food Writing and Photography Retreat and a 9-night Cambodia Culinary Tour. Click the link above for more details! Just let Lara know you came from Not Quite Nigella and she will arrange for you to receive something special (a private shopping tour with Lara, followed by decadent afternoon tea at Blossom). This isn't a paid promo, it's just me wanting to share a friend's fantastic business. This post contains affiliate links. 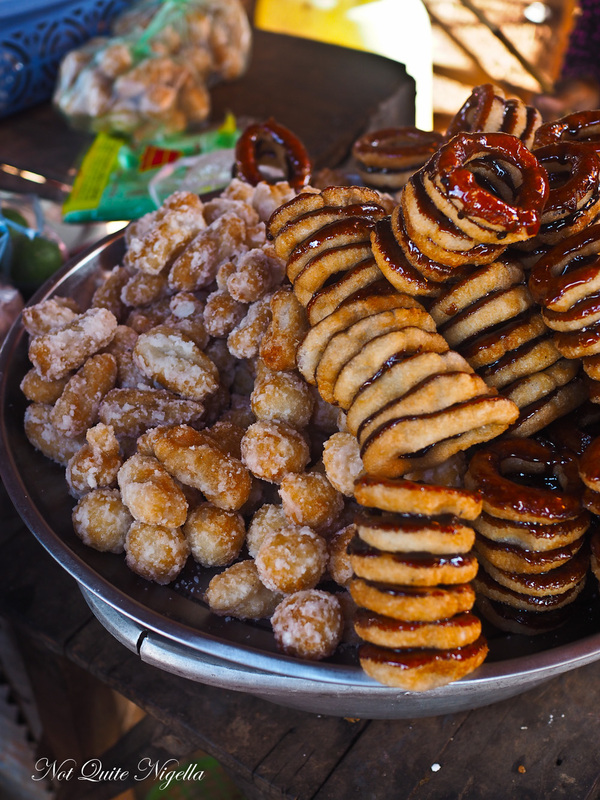 These allow me to earn a small commission but at no extra cost to you x.
travelStreet Food in Siem Reap, Cambodia! travelSpas in Siem Reap, Cambodia! travelVisit Temples in Siem Reap, Cambodia! travelDay Tours in Siem Reap, Cambodia! travelPhare Circus in Siem Reap, Cambodia! travelBars in Siem Reap, Cambodia! 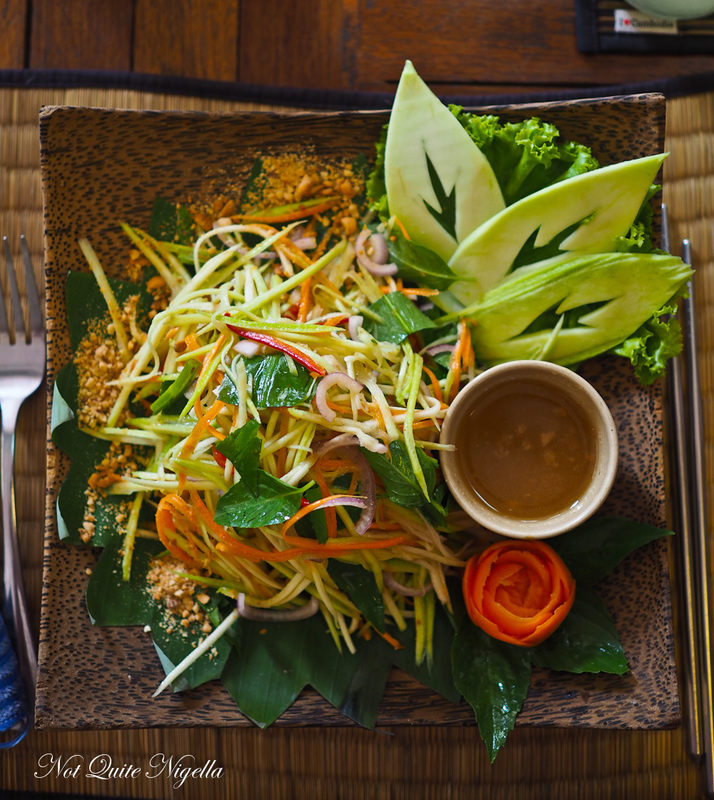 travelHigh End Restaurants in Siem Reap, Cambodia! 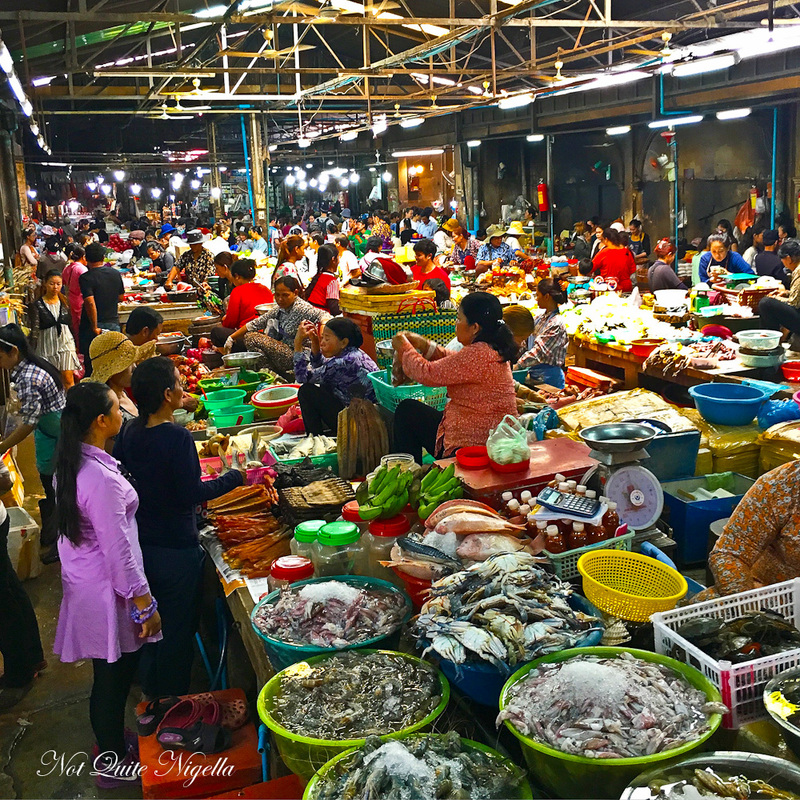 travelVisit a Market in Siem Reap, Cambodia! 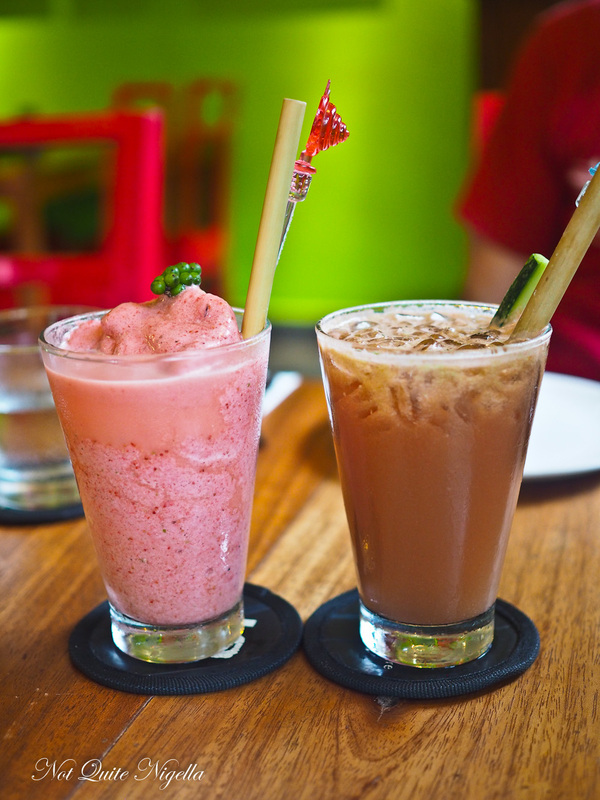 travelNGO Cafes in Siem Reap, Cambodia! 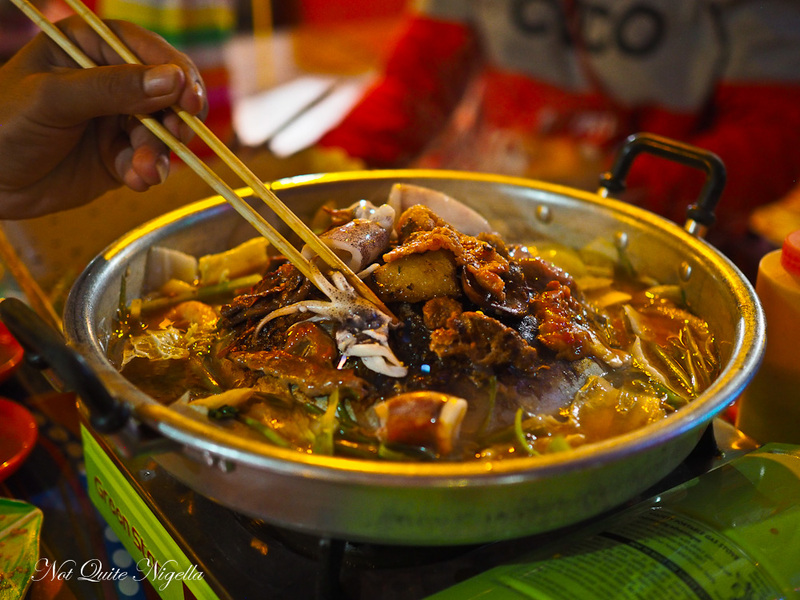 travel Street Food in Siem Reap, Cambodia! 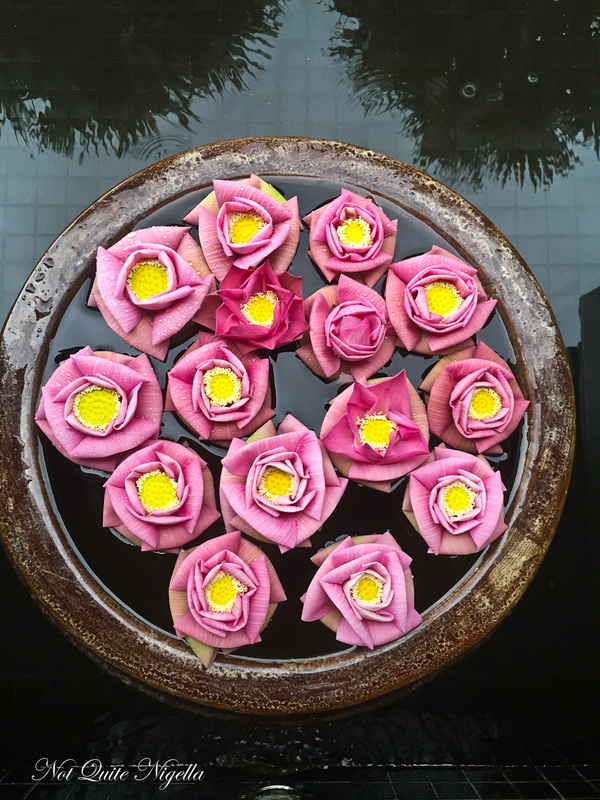 travel Spas in Siem Reap, Cambodia! 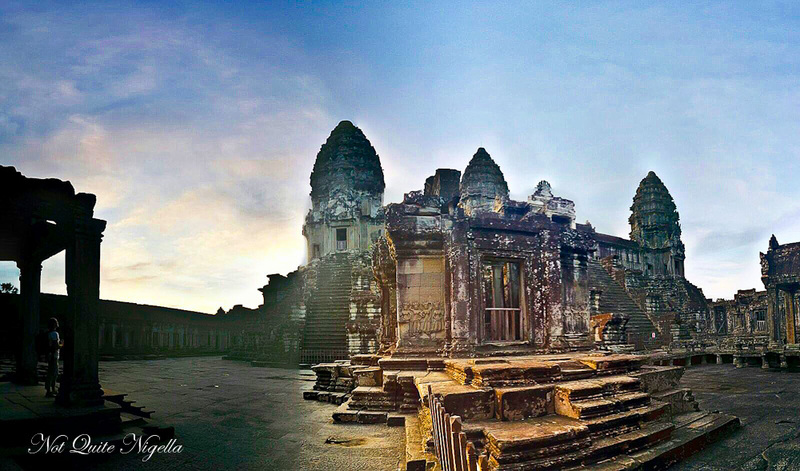 travel Visit Temples in Siem Reap, Cambodia! travel Day Tours in Siem Reap, Cambodia! travel Phare Circus in Siem Reap, Cambodia! 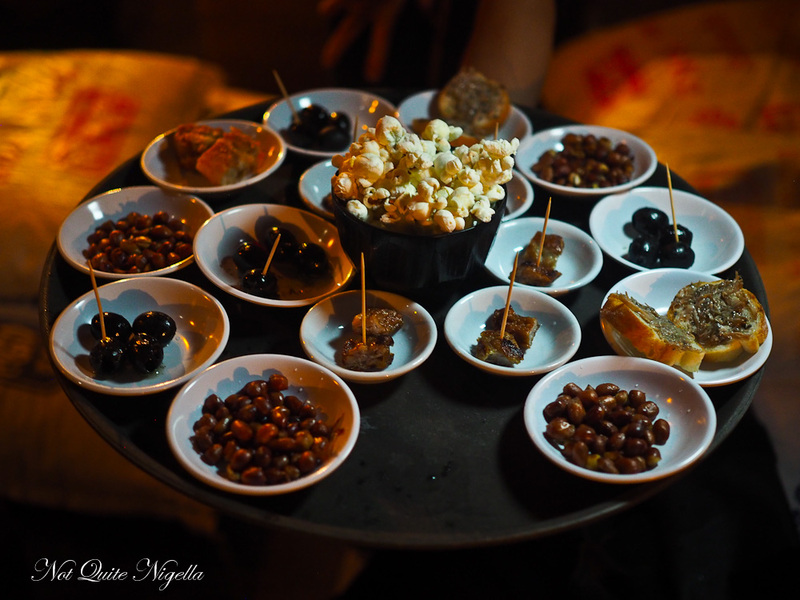 travel Bars in Siem Reap, Cambodia! 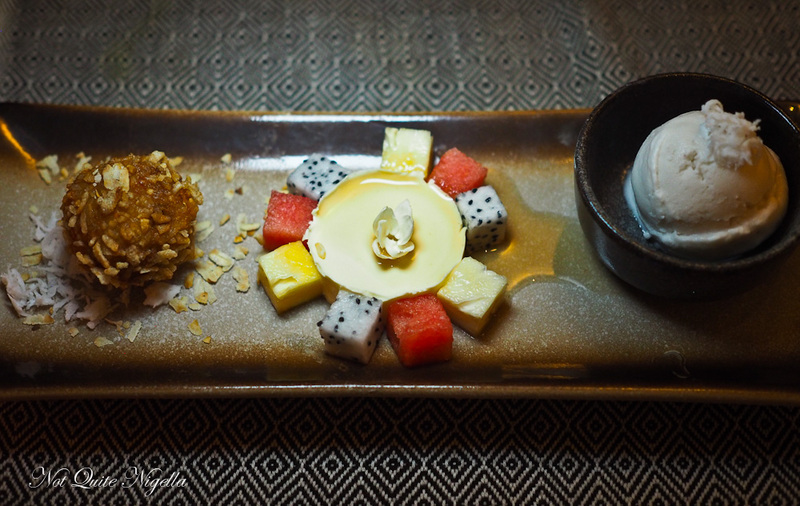 travel High End Restaurants in Siem Reap, Cambodia! 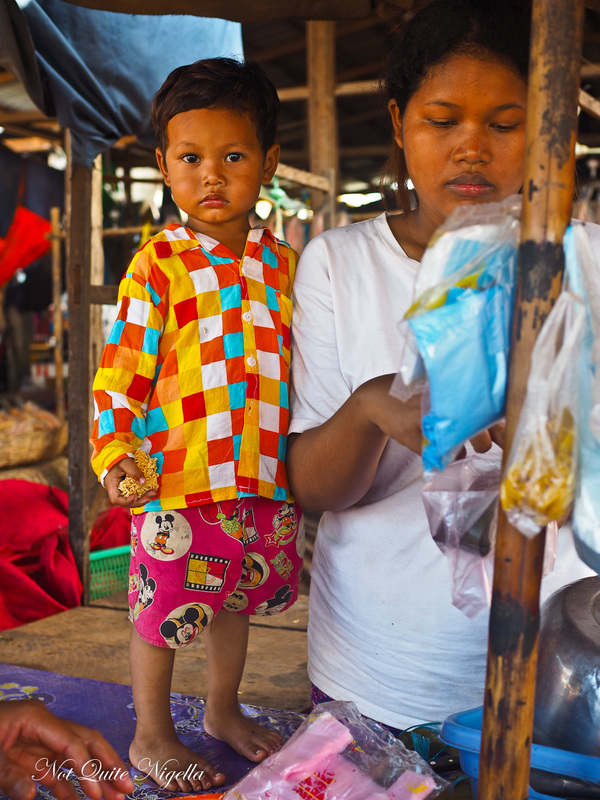 travel Visit a Market in Siem Reap, Cambodia! 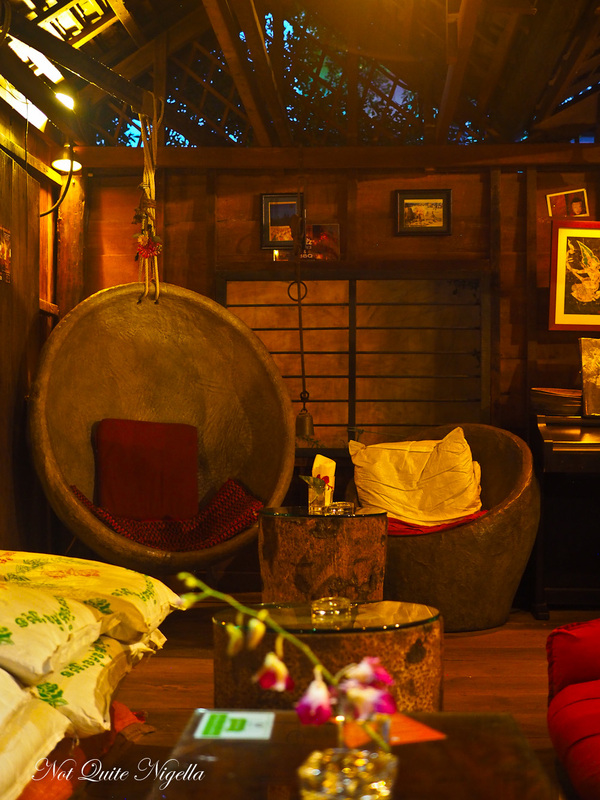 travel NGO Cafes in Siem Reap, Cambodia!